Beverly Massachusetts, a beautiful seaside community, is located 18 miles north of Boston on the North Shore of Massachusetts Bay and is bordered by Manchester-By-The-Sea, Wenham, Danvers and Salem Massachusetts. Miles of coastline, public parks and beaches, open space and diverse neighborhoods with a thriving downtown makes Beverly a highly sought after living community also known as the "Garden City." Founded in 1626, the City of Beverly is one of the oldest communities in the state. Beverly is a resort, residential and manufacturing community and has been called the birthplace of the American Industrial Revolution. The first Cotton Mill in America was built here and it was the largest for its time. Beverly is now the home of Cherry Hill Business Park and Cummings Center as part of its multiple business and employment facilities. This town is also the home of one of the countries first Sunday schools, built in 1810. Half urban, half rural, Beverly offers the best of both worlds. 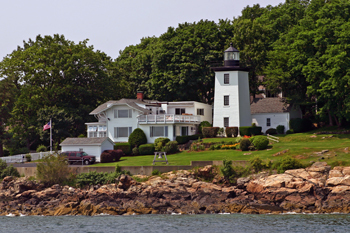 Beverly Harbor is the home of Jubilee Yacht Club and Bass Haven Yacht Club runs along the Bass River. A large portion of Wenham Lake and other small lakes, ponds and streams lie within the city. Beverly also offers five beaches as well as two islands and many smaller coves along the bay, a city owned forest and conservation land as well. A source of pride for Beverly is the both public and private school systems. In addition to these school systems the city has converted the Memorial Middle school into a recovery high school to assist high school students who are overcoming addiction to drugs and alcohol. As part of the private school system, you will find Beverly School for the Deaf and Shore Country Day known as the top private school for upper class children k-8. Beverly also boasts of Endicott College and Montserrat College of Art a private four-year visual arts college. Attractions for the city would be the Beverly Cotton Manufactory site, The Cabot Street Cinema Theatre, North Shore Music Theatre and the John Hale House to name a few. The city of Beverly is still the home of many 17th and 18th century style buildings, gracious estates and modern residential properties. The divers sections of the community offer everything from rural to urban lifestyles.